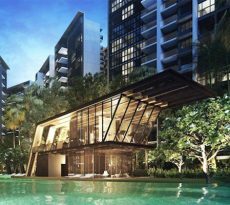 Along Queen’s Road in the prime residential neighborhood of Bukit Timah, a new luxury condominium is ready to make waves. 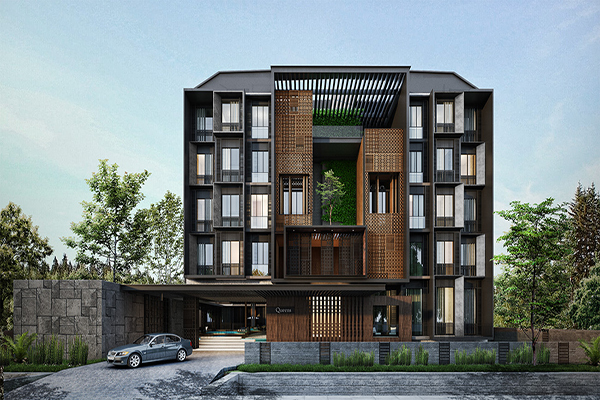 An embodiment of class and taste, The Asana is a modern 99-year leasehold with over a hundred luxurious residences and a full set of leisure amenities, all reflecting the unique character of Bukit Timah. 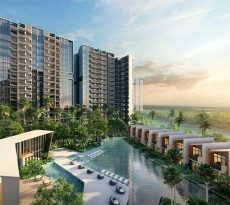 The site is refreshingly near the Rochor River and the Singapore Botanic Gardens. 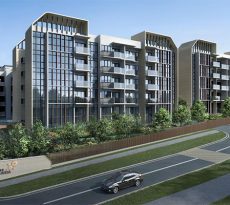 It’s very close to Holland Village and Demsey Hill, and quick, easy drive from the shopping belt of Orchard Road. “Asana” is a Sanskrit term used in yoga, referring to the different postures in this meditative practice. The word conjures a sense of restfulness, balance and well-being – concepts that The Asana condominium wishes to impart to all its residents. This will be achieved with the help of aesthetics, as well as thoughtful master-planning that opens you up to be one with nature. The Asana will come complete with luxurious comforts and perquisites for all its residents to benefit from. Echoing the dynamic but balanced energy found in nature, these amenities incorporate the elements of air, water, and light, in able to facilitate a most renewing experience. Bodily health is an important part of wellness, so be sure to make some time to pay attention to your muscles and bones. You can keep yourself youthful and liber by making use of the Aerobics and Yoga Room. In the morning as you begin your day, or later in the afternoon as you come home from work, do a bracing round of cardio, some stretching, or a session of yoga. If you prefer higher-impact or higher-intensity exercises for yourself, you can make use of the exercise equipment at the gym. It’s going to be an indoor gym, so you won’t need to worry about the heat of the sun or the gazes of passersby. You can drop by the pool too – boost your endurance and keep your heart rate healthy by doing a few laps across the 50-metre stretch. Or you can simply take a bracing splash at the smaller leisure pool to cool yourself off at your free time. Don’t forget that your little children need to exercise too. But the kind of exercise for their age has to be light and fun, so they’ll keep looking forward to it. Just let them run and joke around at the children’s playground or the kids’ splash pool. And speaking of your free time, you don’t have to leave your condo to find some choices for recreation. You can take advantage of the pool room, the piano room, or the reading room. On those days you feel you deserve to reward yourself with some extra pampering, head for the hydrotherapy beds or the hydrotherapy baths. You can also loosen up at the onsen, the steam room, or the jacuzzi. For your moderately-sized happenings, you can reserve the club house or the function room. For more intimate gatherings, you might rather like one of the the al fresco dining pavilions, sky pavilions, or the sky lounge. It will only take you a short stroll to get to the renowned Singapore Botanic Gardens. Celebrated as one of the world’s most famous and most beautiful gardens, it’s a nature-filled retreat in the city. It’s a blissful, emerald-hued expanse of growing things and fresh air, guaranteed to lift your spirits. You can take a leisurely excursion, whether alone or with your friends or family, snapping photos at whatever draws your curiosity. Bring the kids so you can teach them to appreciate nature from a young age. Go on an impromptu day out to admire the collection of blooms at the National Orchid Garden, or behold the calming sights of the many water features. You can also take a short drive northward, toward the nature parks. Go adventuring, hiking, or picnicking among the greenery, whether at Mac Ritchie Reservoir Park, Central Water Catchment Nature Reserve, or Bukit Timah Nature Reserve. There are a profusion of commercial centres within a few kilometres, the most well-known of which is Orchard Road. Go from one mall to the other, or go restaurant-hopping, or check into a posh hotel. Buy a whole new wardrobe or go window-shopping; then maybe watch a movie with a bucket of popcorn – or just go for the popcorn – or perhaps go clubbing. Other commercial centres nearby are Coronation Plaza, Cluny Court, Holland Village, and Dempsey Hill. Check out the Tanglin Club and the American Club. You’ll find different activities to do there. If you like golf, the Royal Tanglin Golf Course is close to home as well. All around are a variety of supermarkets, stores and specialty shops. There are also many different kinds of places to enjoy a meal – inviting cafes, swanky pubs, food markets, classy gourmet restos and more. The MRT stations nearest to The Asana are Farrer Road (Circle), Botanic Gardens (Circle, Downtown) and Queenstown (East-West). For driving days, you can take your car via Farrer Road or Bukit Timah Road. The PIE is not that far away either, providing you with an easy route across the island. The Asana takes the best things in life and composites them into an ideal enclave. You’ll be near both the city and the nature reserves, and best of all, you’ll be close to myriad places that will make your life more colorful and flavorful. Make your way toward the quintessential address that is The Asana. First stop: find a reputable consultant with whom you can compare home loan Singapore. Working out your finances can be quite a challenge, but never fear: you’ve got an ally in iCompareLoan mortgage broker.